The Brother Nature and the ol’ Burb are nestled in their winter quarters. I’ll drive the Suburban a few times over the winter to give it a bit of exercise, but it won’t be getting many miles on it. 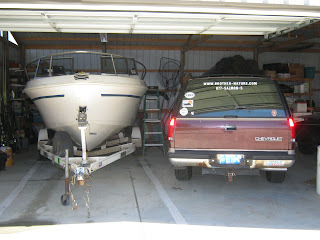 It always seems very weird driving it without having the boat and trailer tagging along behind since 99 percent of the time, you won’t see one without the other. The winterizing went well. I lowered the lower unit and opened the vent and drain plugs to remove the gear lube oil inside. It was nice and clean with no milky look to it which means there’s no water leaking into the innards of the unit. I let it drain overnight, then refilled it with new lubricant. The next step is to stabilize the fuel left in the tank to keep it fresh over the winter months. 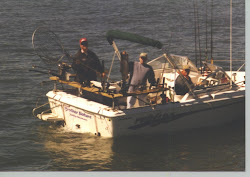 I measured in the Stabil, then took the boat for a ride so the gas in the tank would slosh around and mix with the stabilizing chemicals. Back at home, I parked close enough to the house so I could attach a garden hose to the lower unit with a special muff. 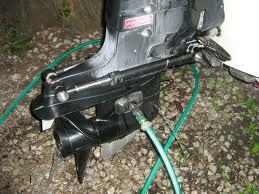 This handy tool allows the boat’s motor to be started with the boat on the trailer. Running the motor warms it up and burns the unstabilized gasoline in the carburetor. The next step is to change the engine oil and oil filter. Not only does this step ensure the motor is stored with clean, uncontaminated oil, but it’s ready for spring fishing next March. The final step is filling the engine with antifreeze. I have a five gallon bucket that I attached a boiler drain into. A short hose connects the drain to the motor muff. Four gallons of antifreeze go into the bucket. When the motor is started, the drain is opened and the antifreeze pumps into the cooling system of the motor, displacing the water inside. Park it just so in the garage. 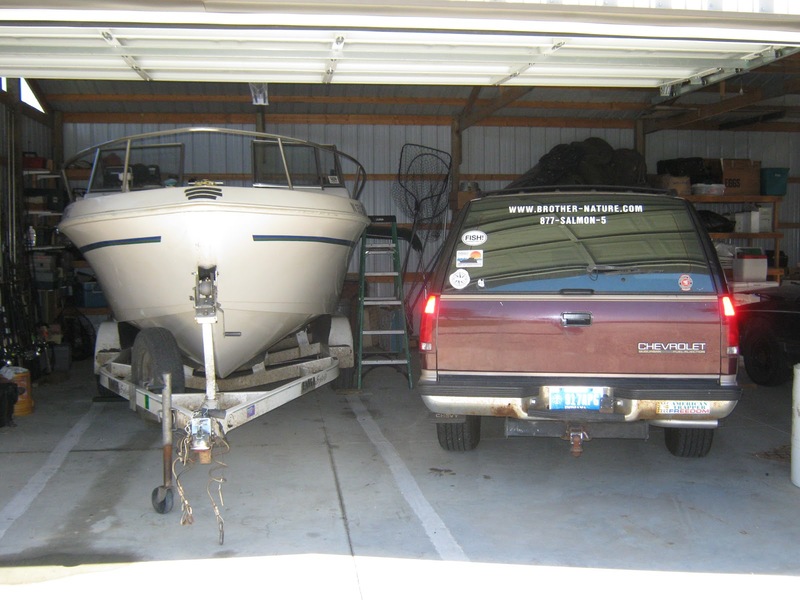 Pull the drain plug to completely empty the bilge and THINK SPRING!